F Cubed has received plenty of international interest in Carocell solar water desalinating technology from offices in 20 countries. 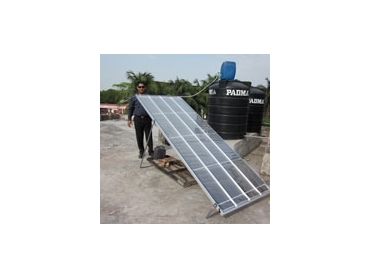 Carocell solar water desalination technology produces safe, high quality potable water. The advantage of this technology is that it can produce water from any source: seawater, groundwater and contaminated or even polluted water. F Cubed Australia reports that Independent testing by world-renowned engineering firm ARUP has shown that Carocell solar desalinating is efficient and economical.